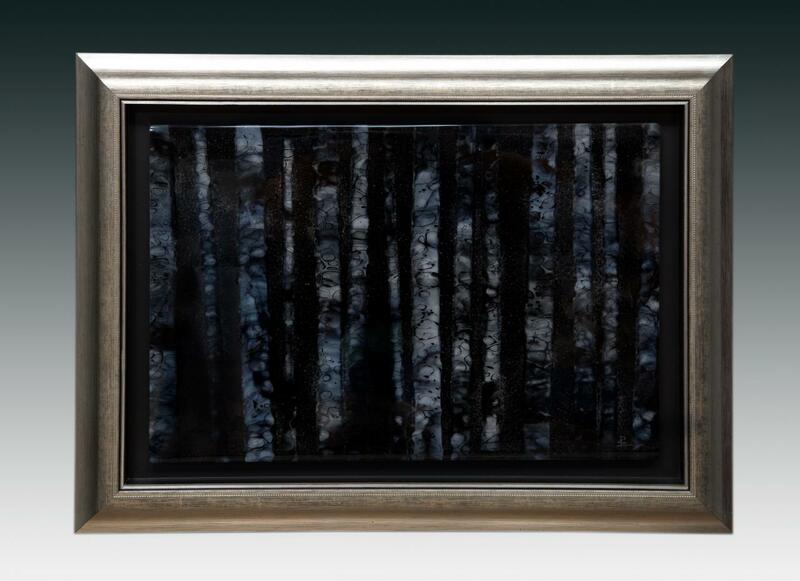 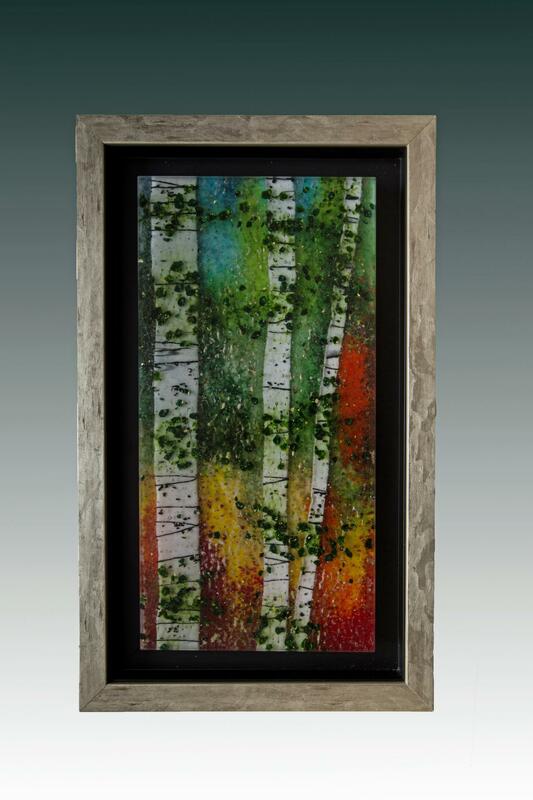 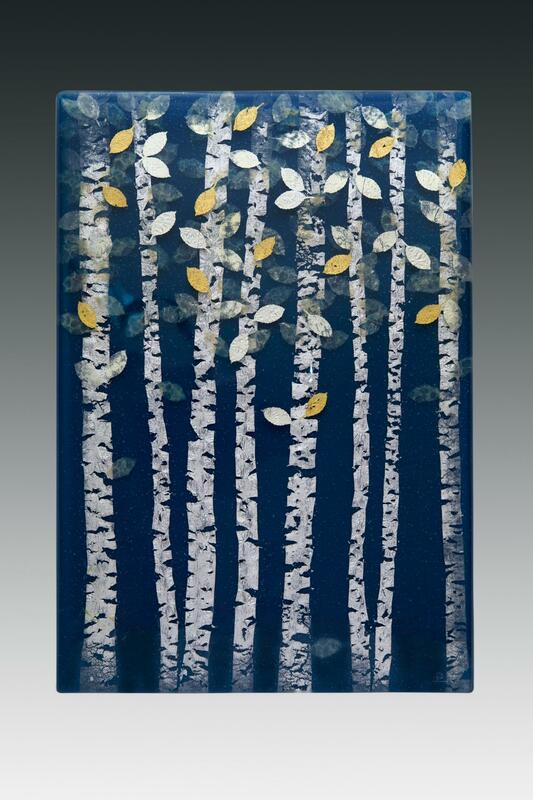 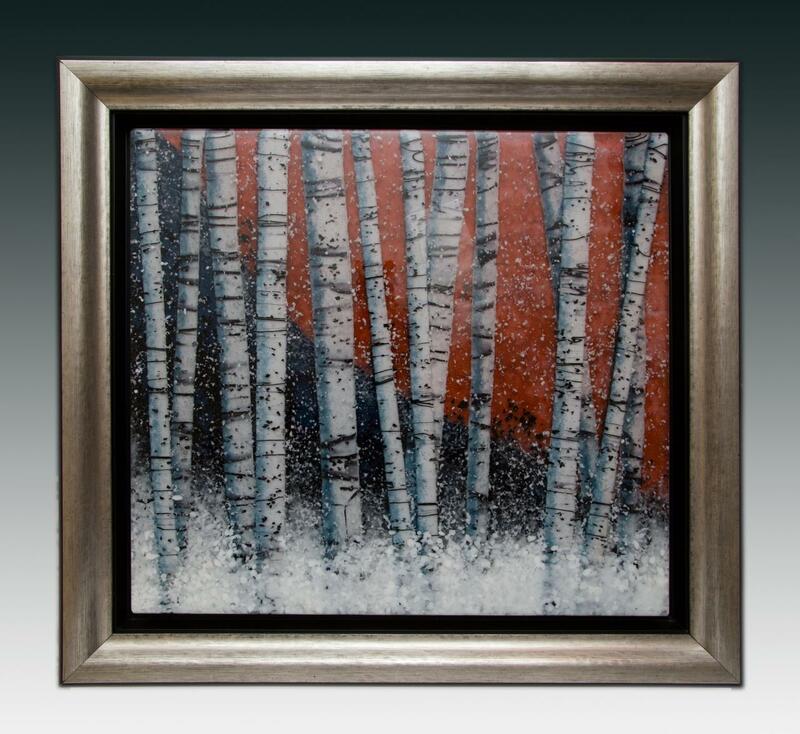 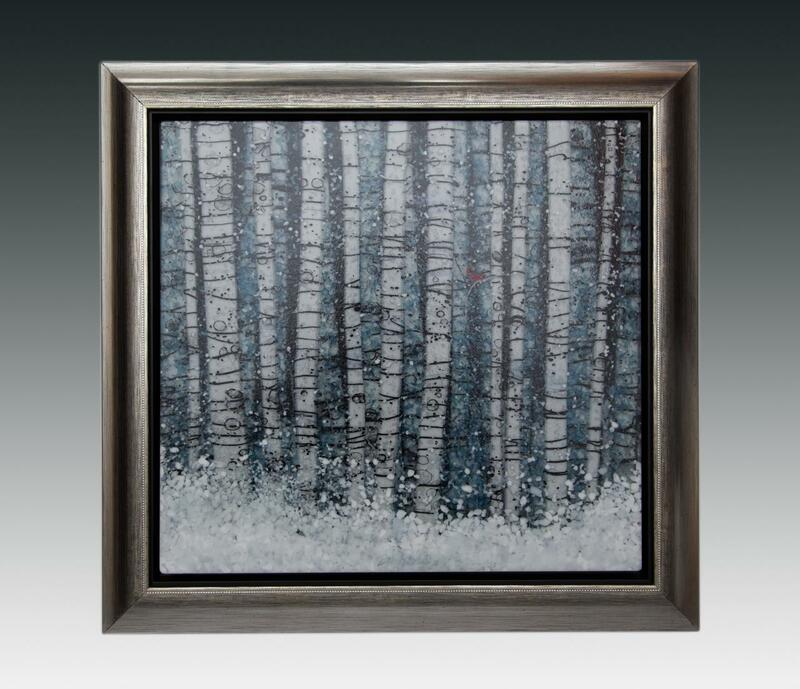 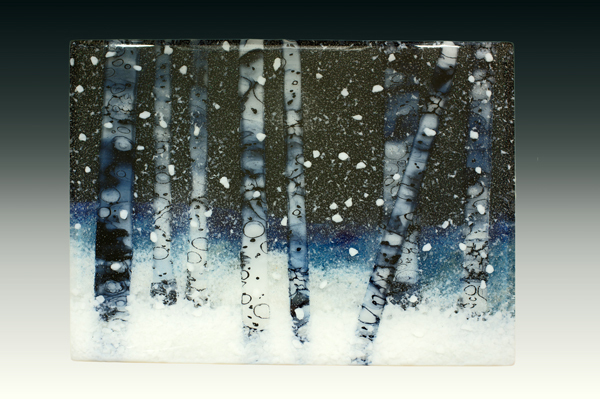 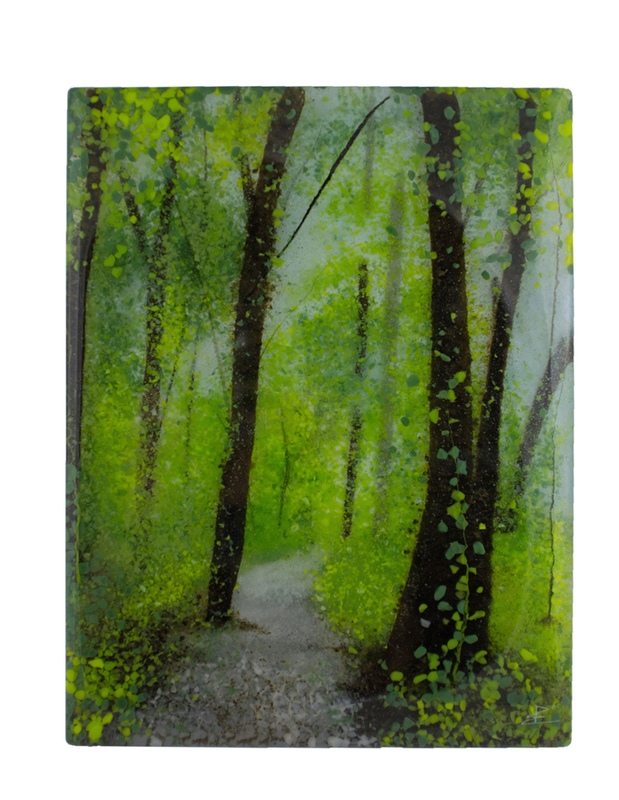 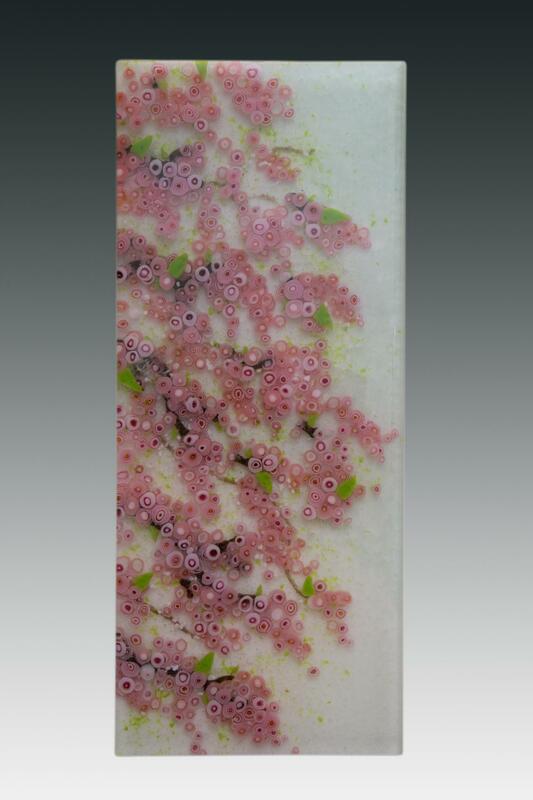 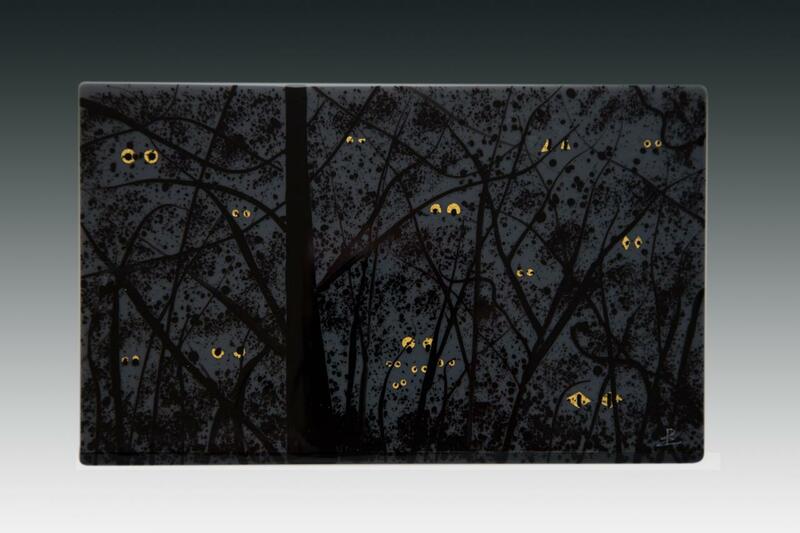 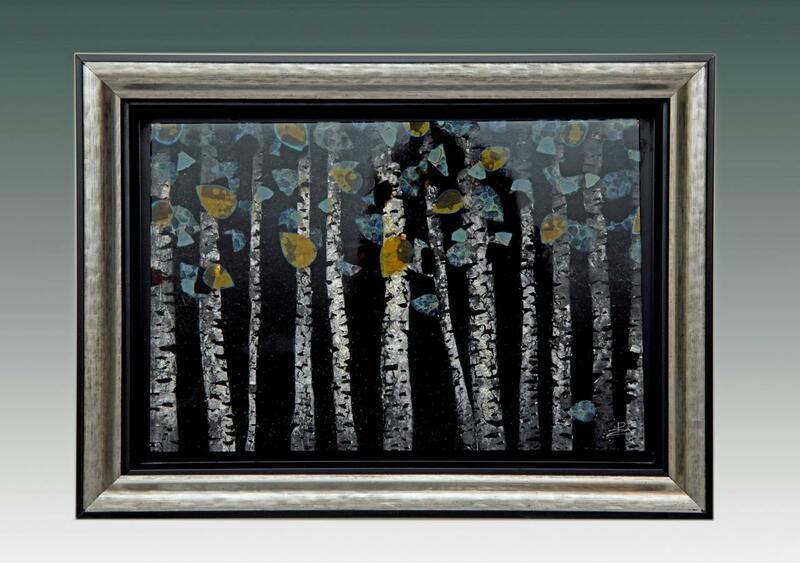 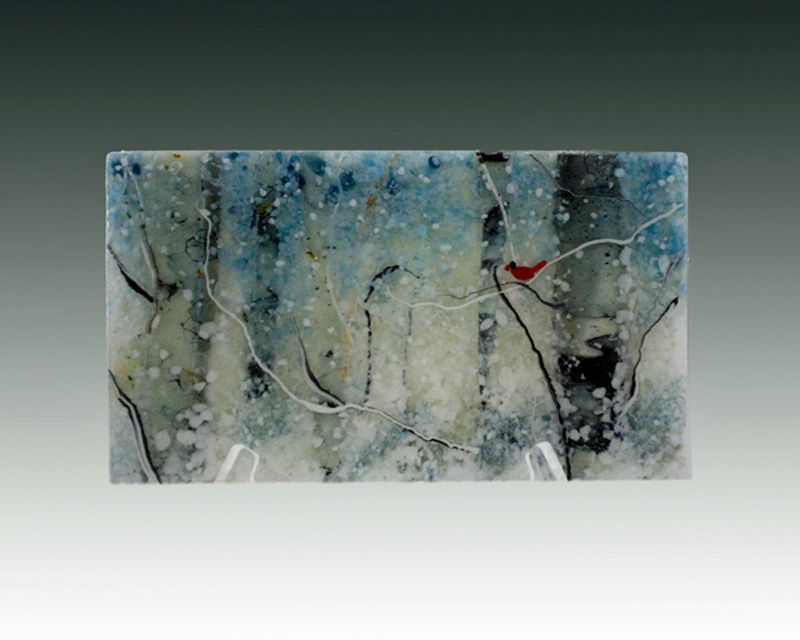 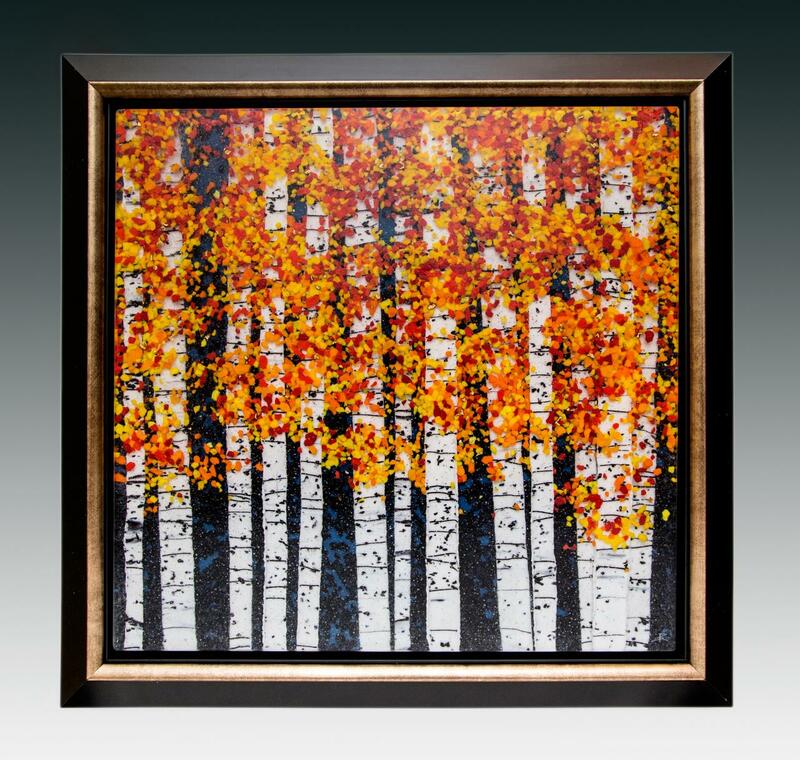 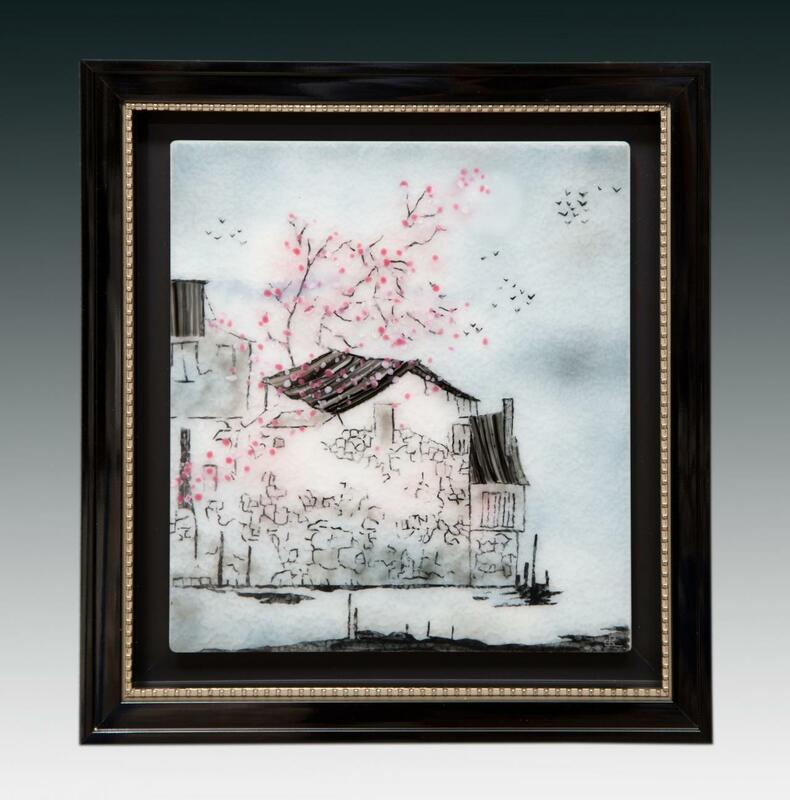 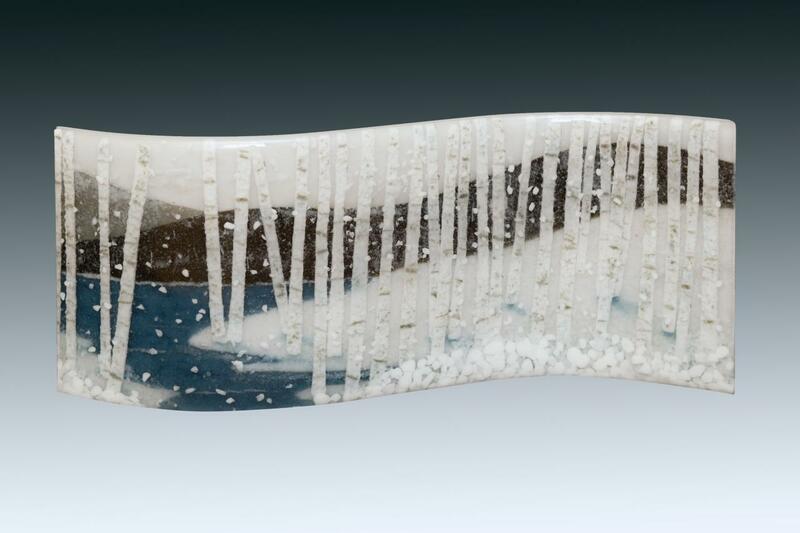 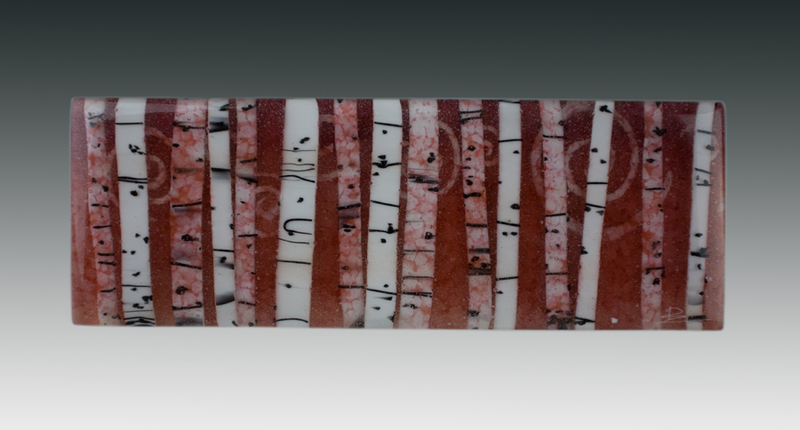 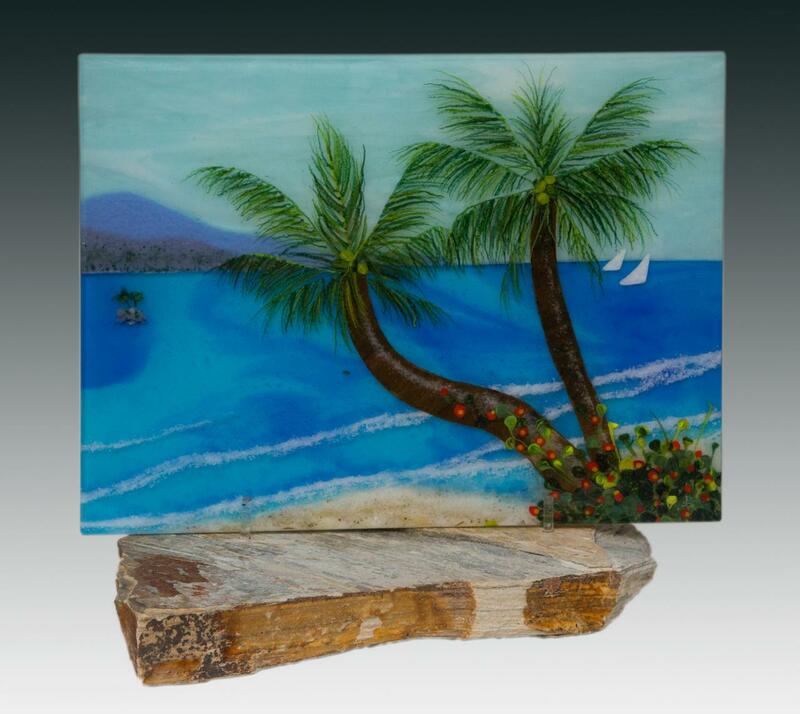 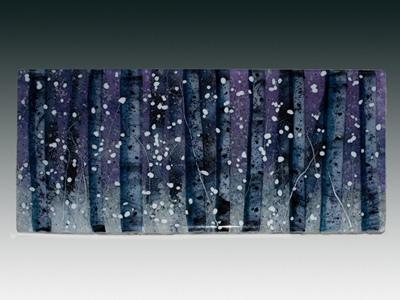 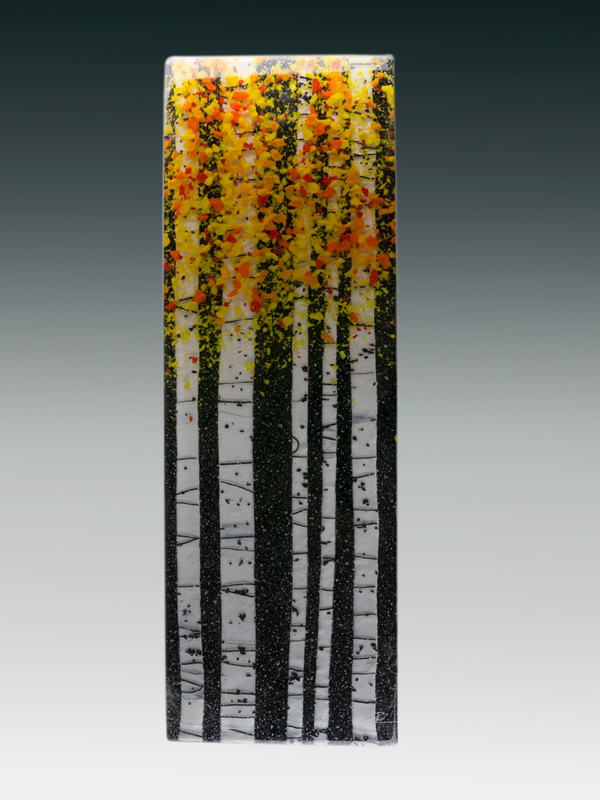 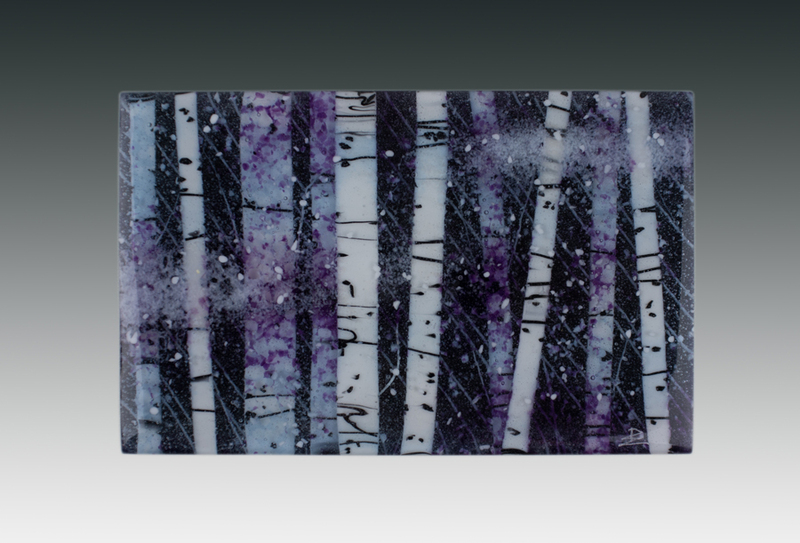 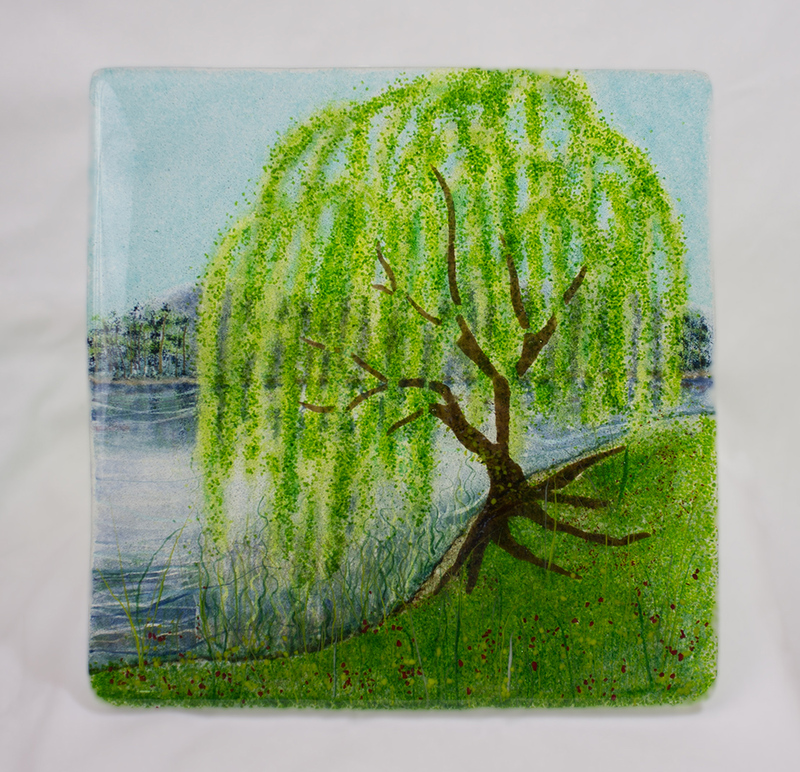 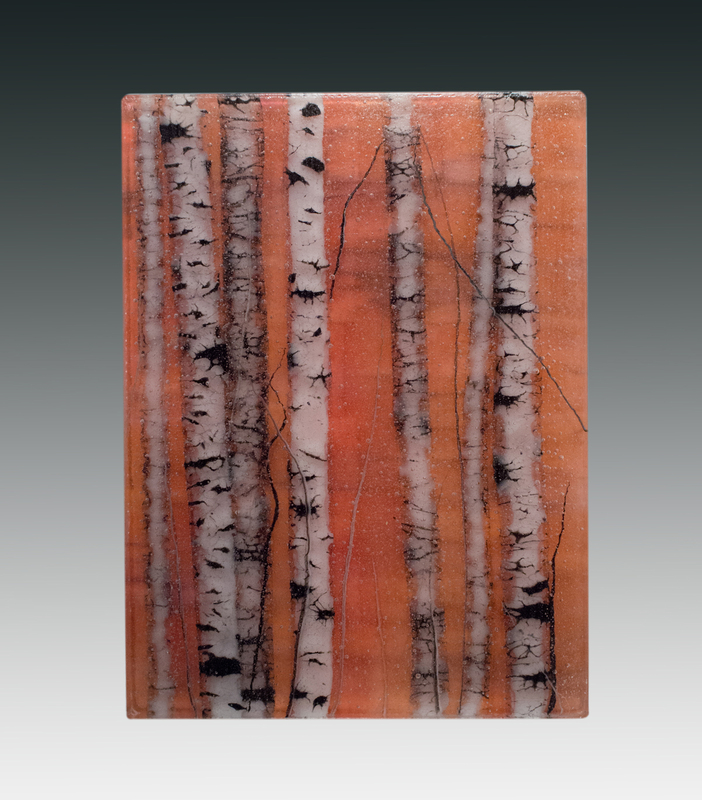 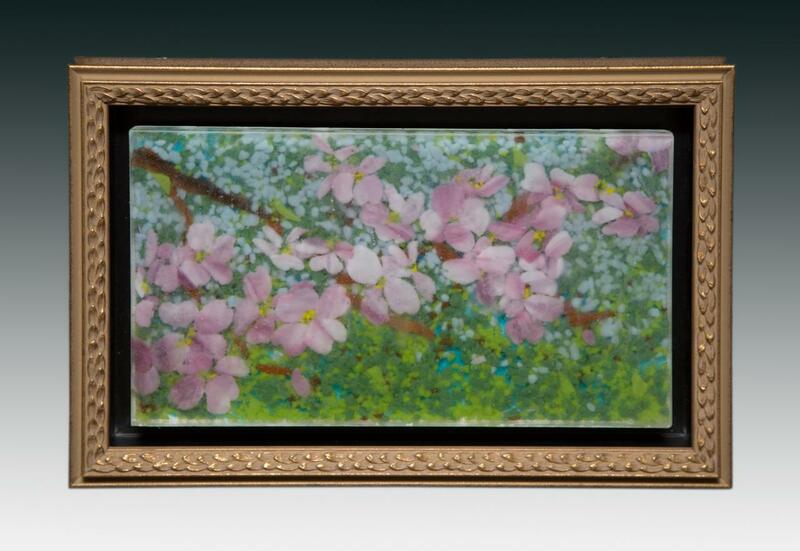 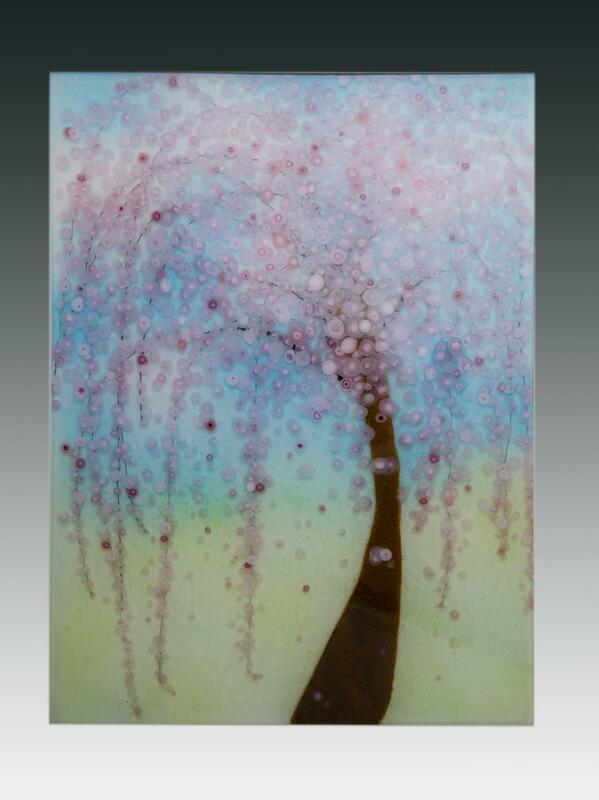 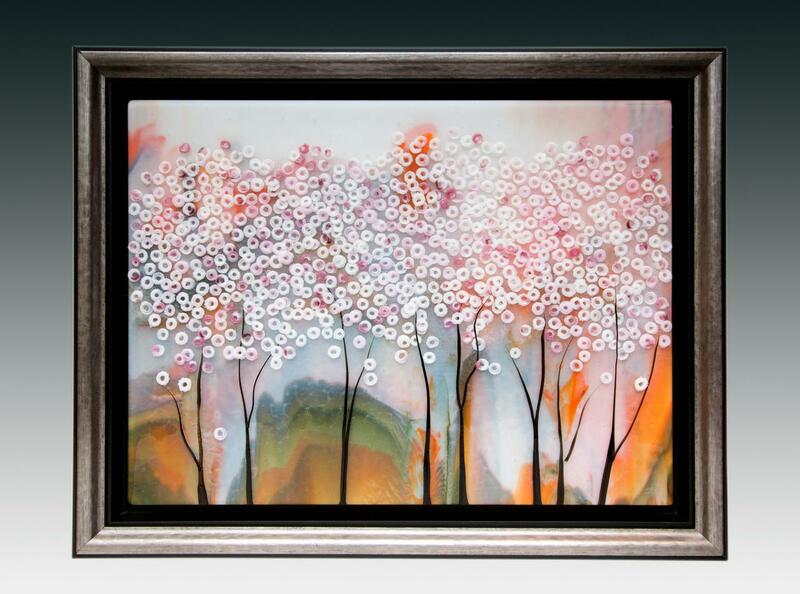 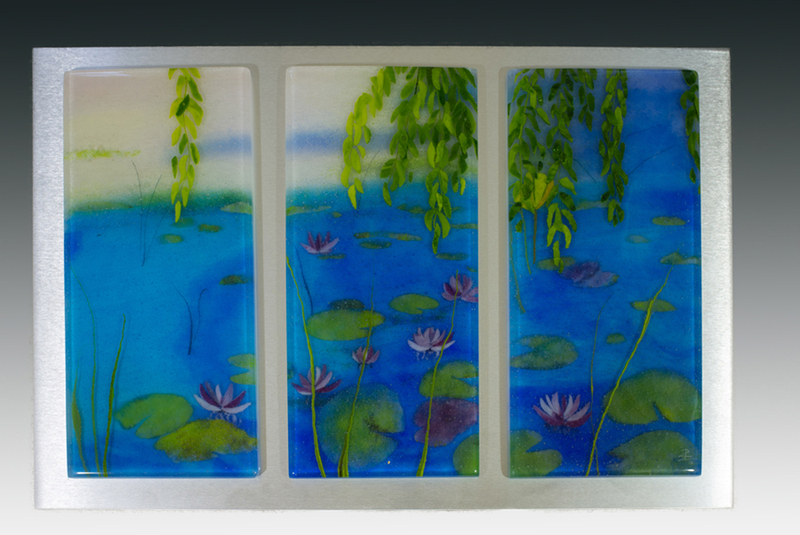 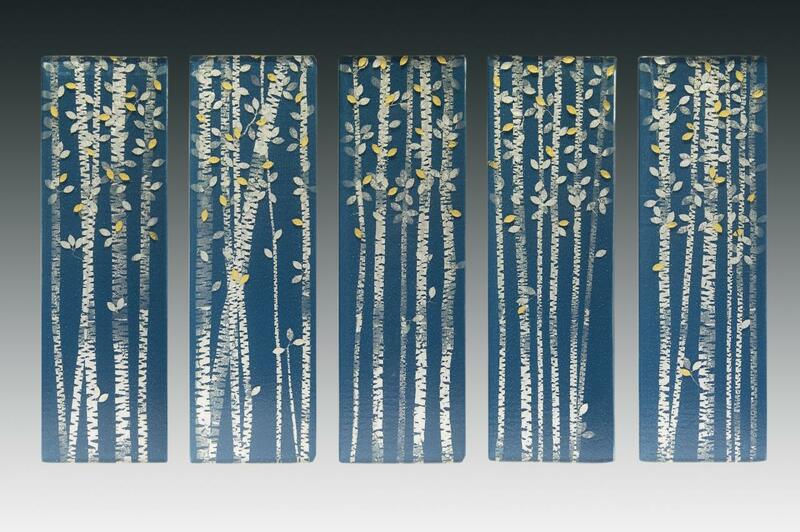 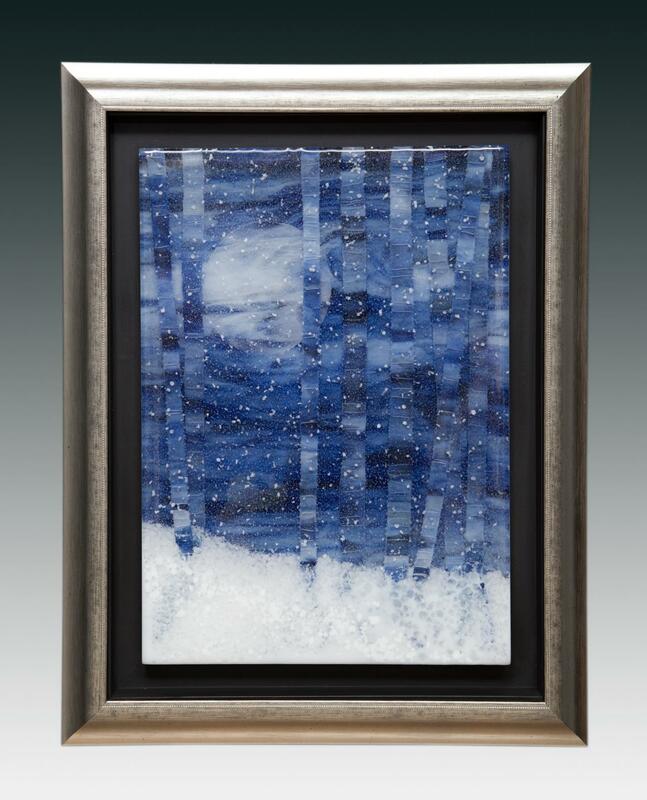 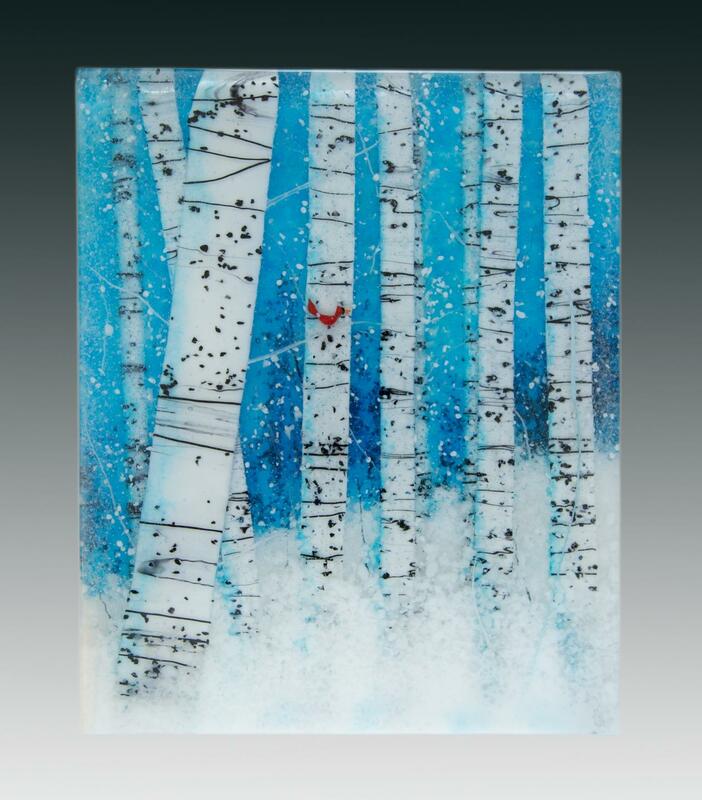 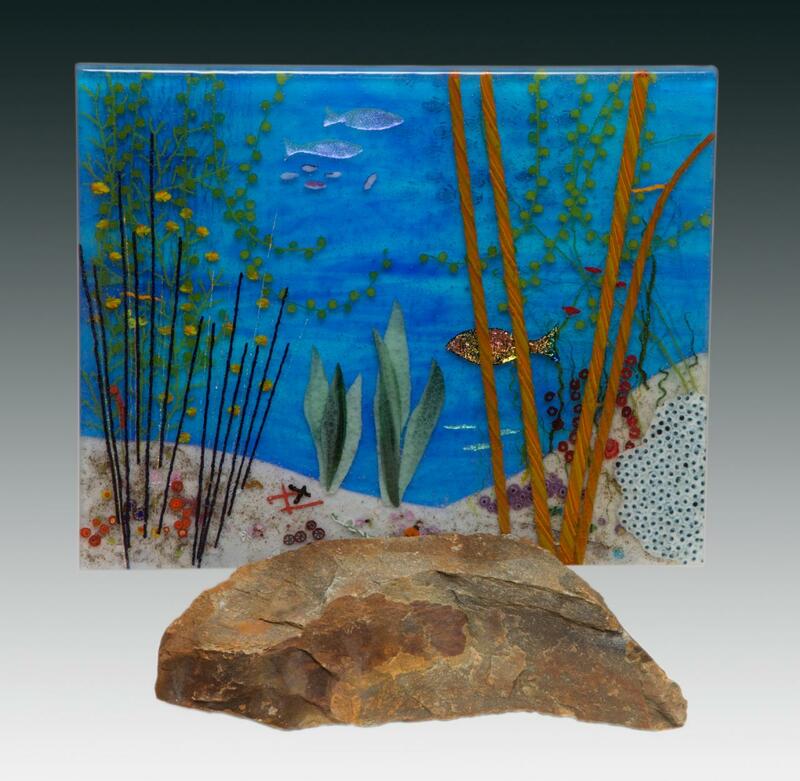 Made entirely of glass, these beautiful images are constructed with multiple layers of glass (and kiln firings!) 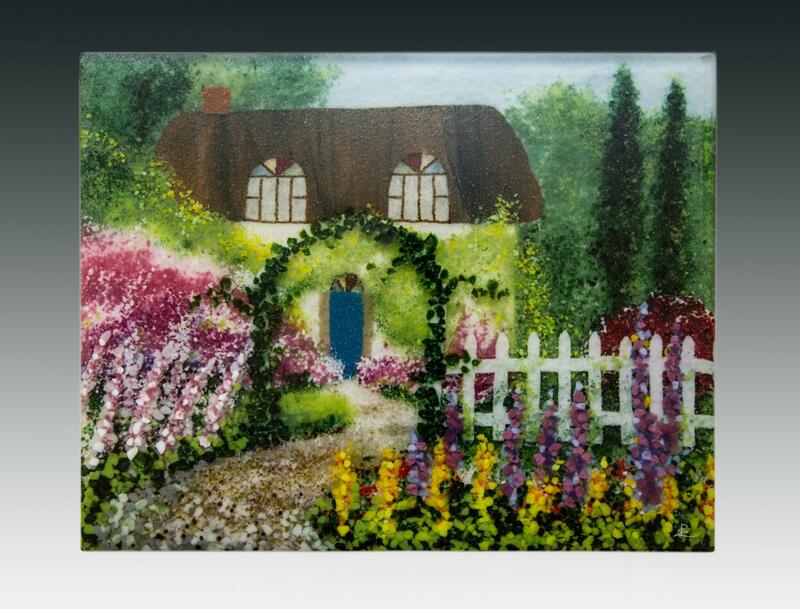 to show unusual depth and detail. 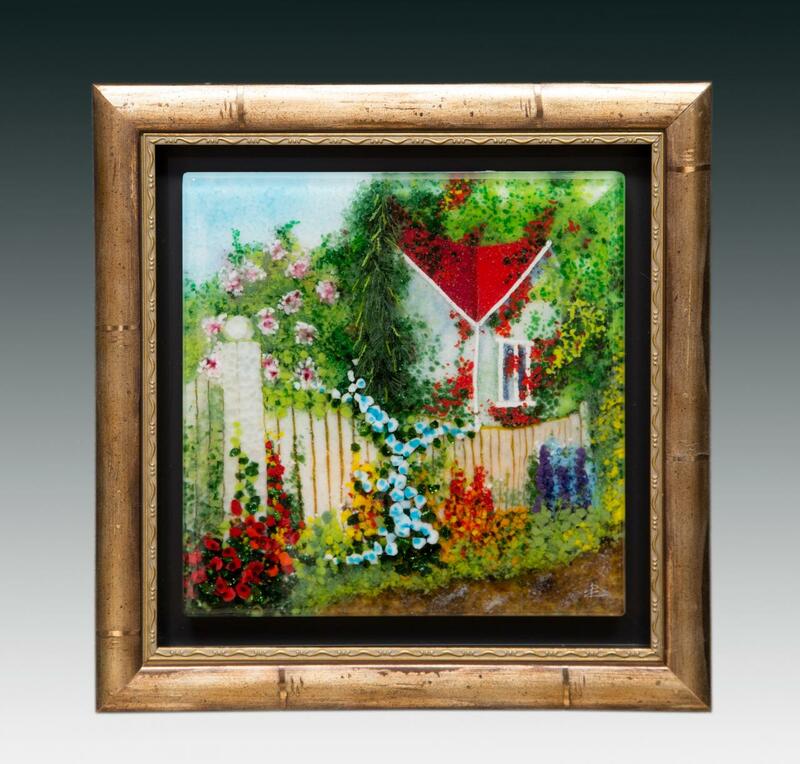 Many can be hung on the wall or placed in an easel; a few are best presented on a table or pedestal. 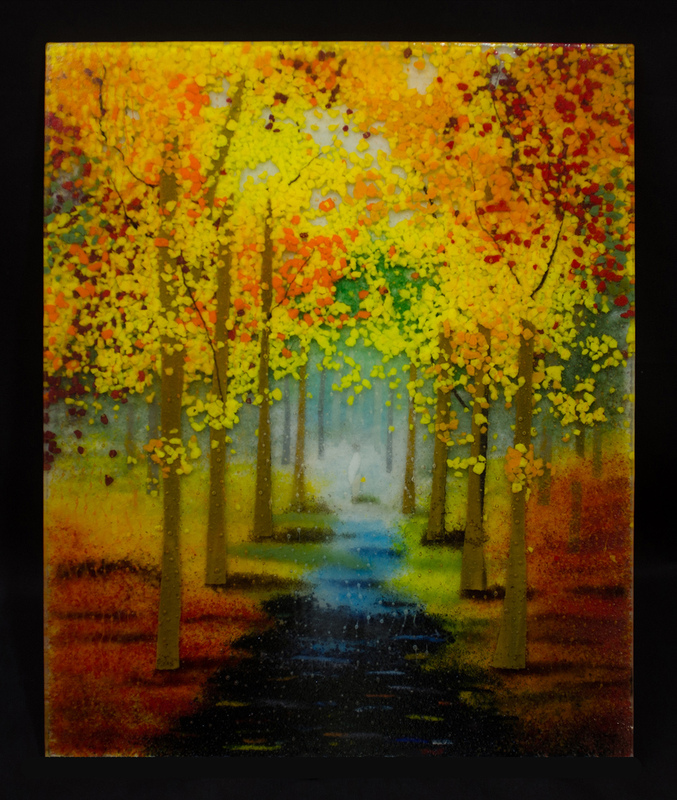 To enlarge the pictures and see the descriptions and prices, click on the magnifying glass in the lower right corner of the image. 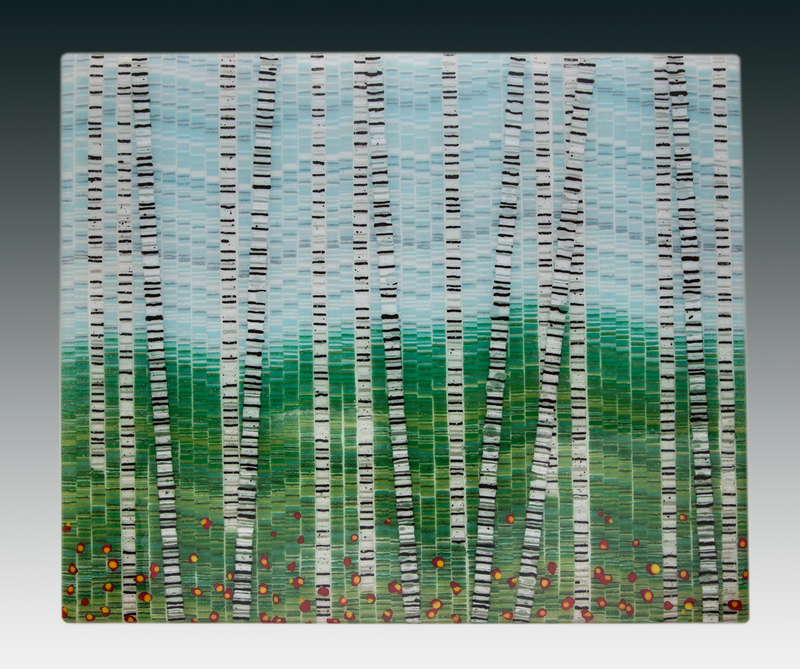 You can use the forward and backward arrows on your keyboard to see additional pieces. 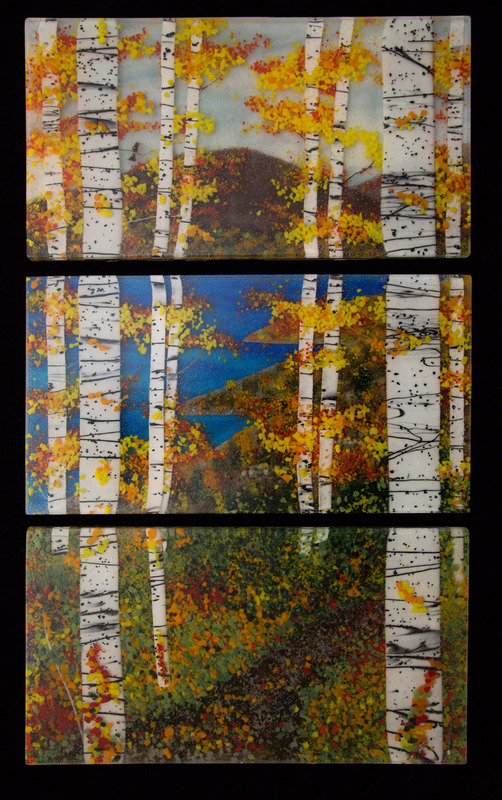 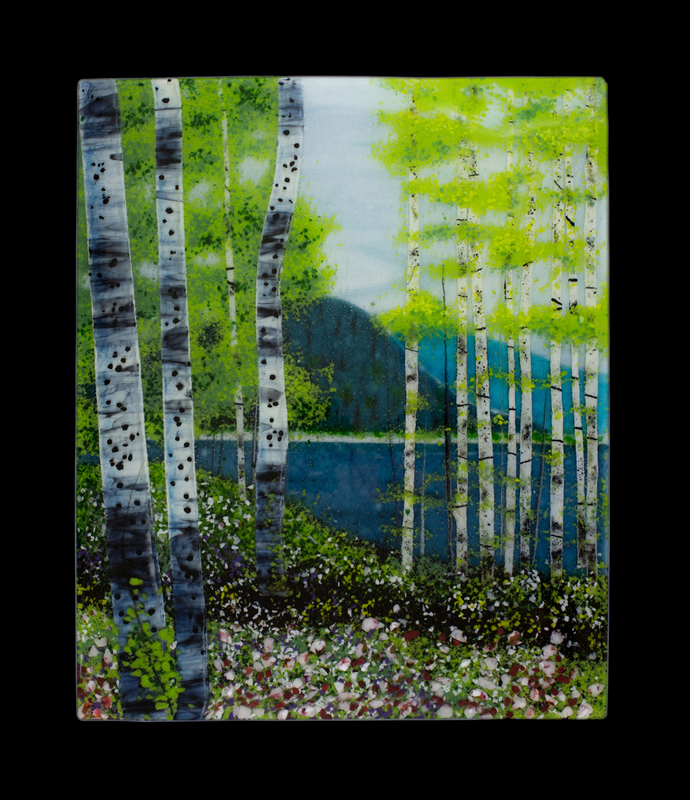 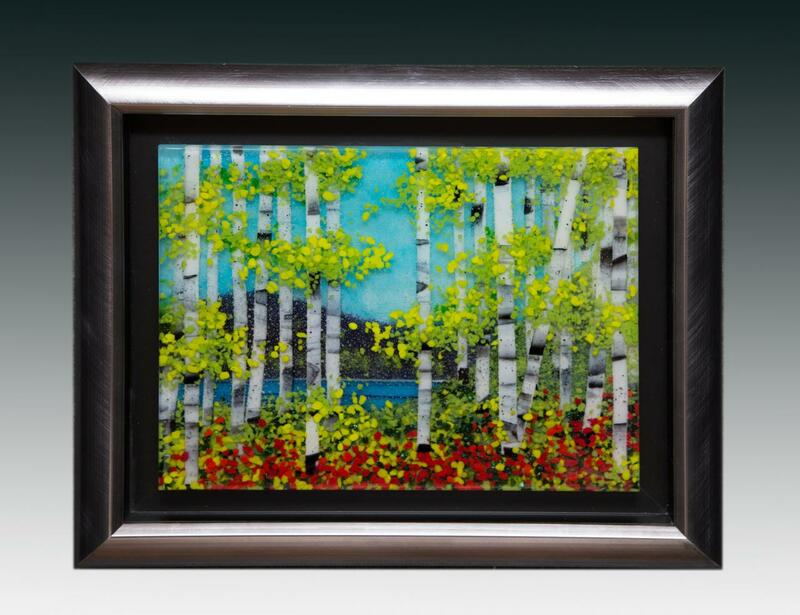 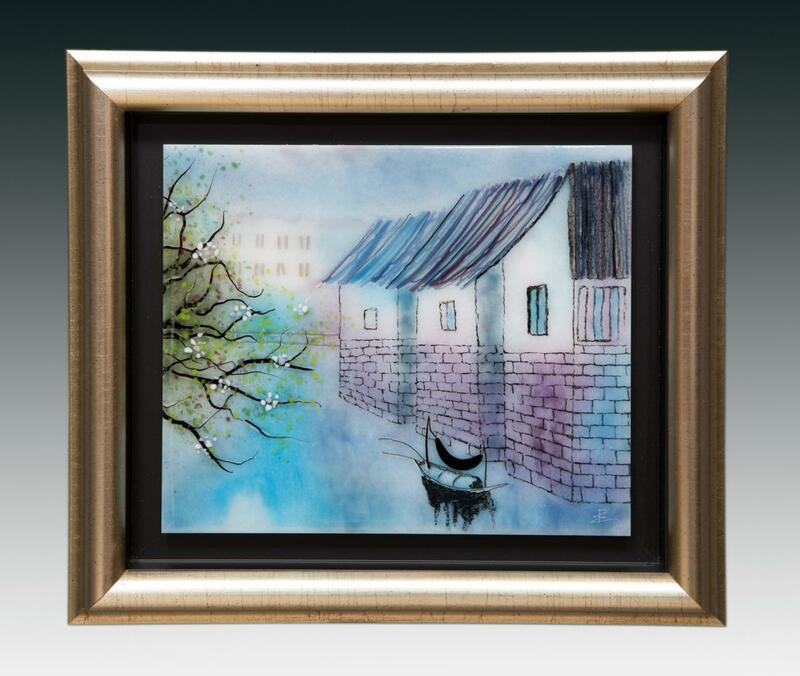 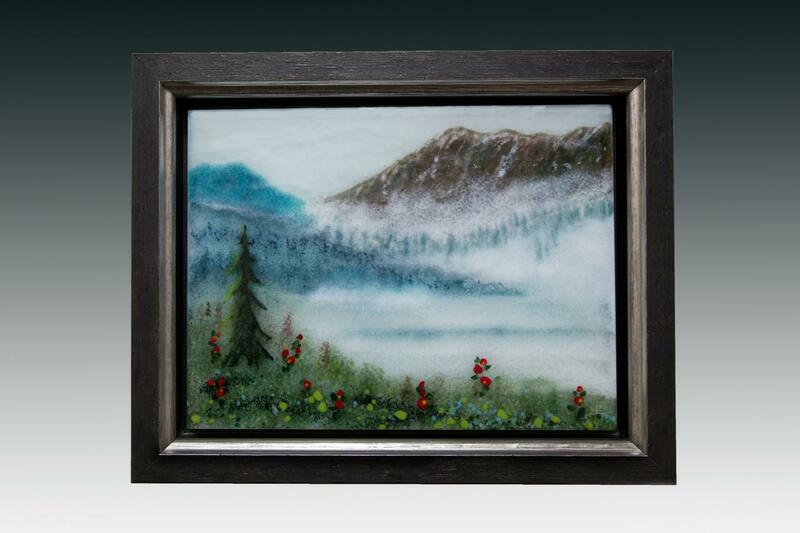 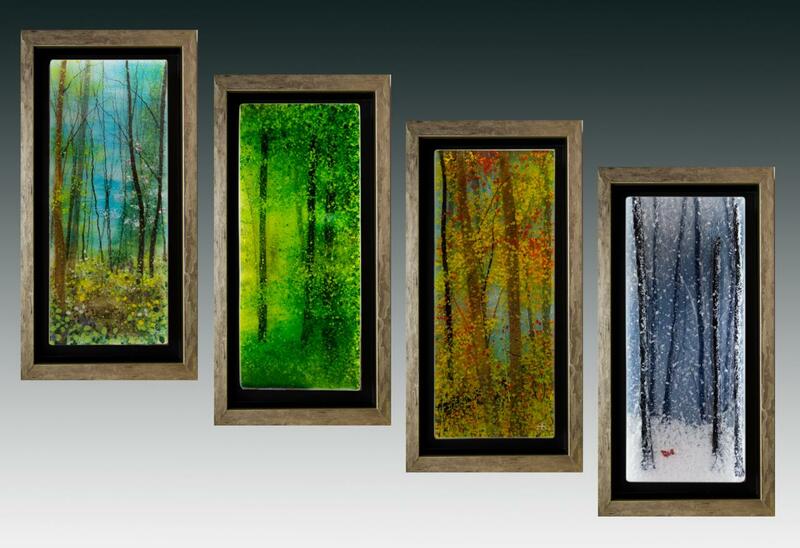 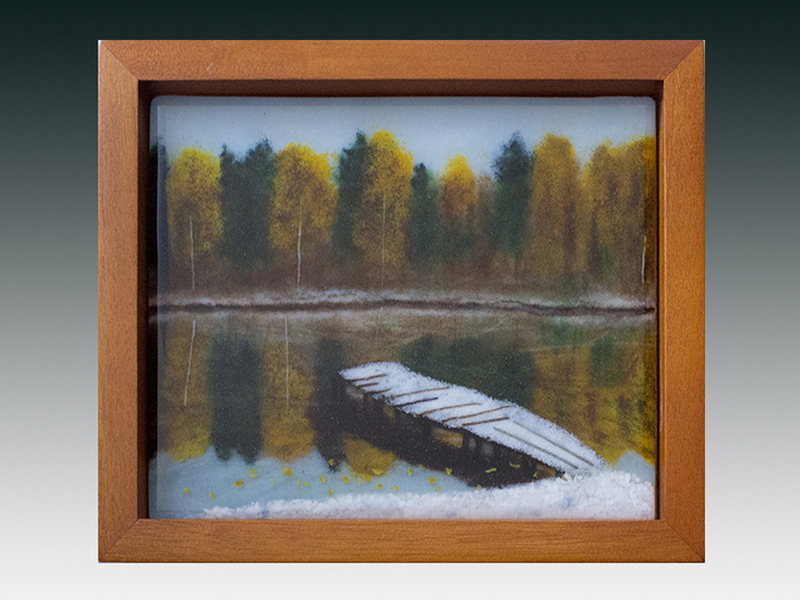 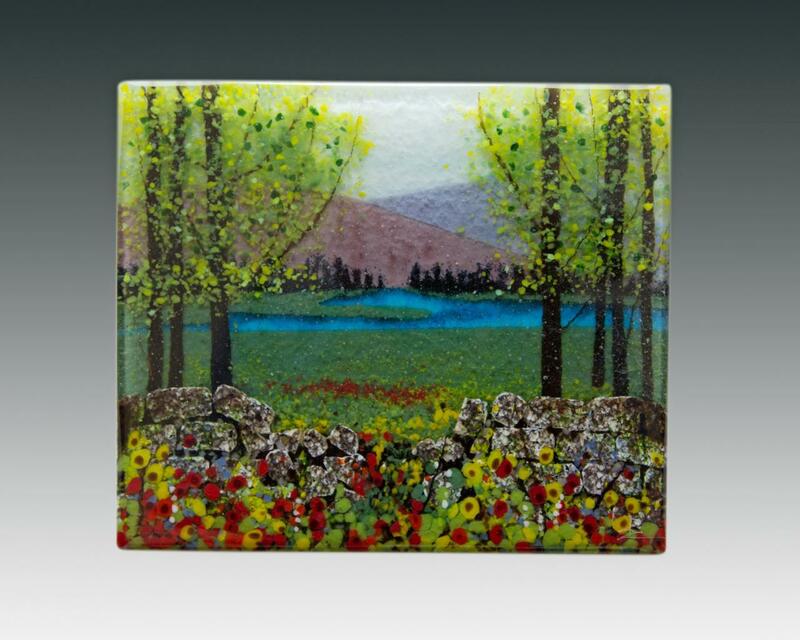 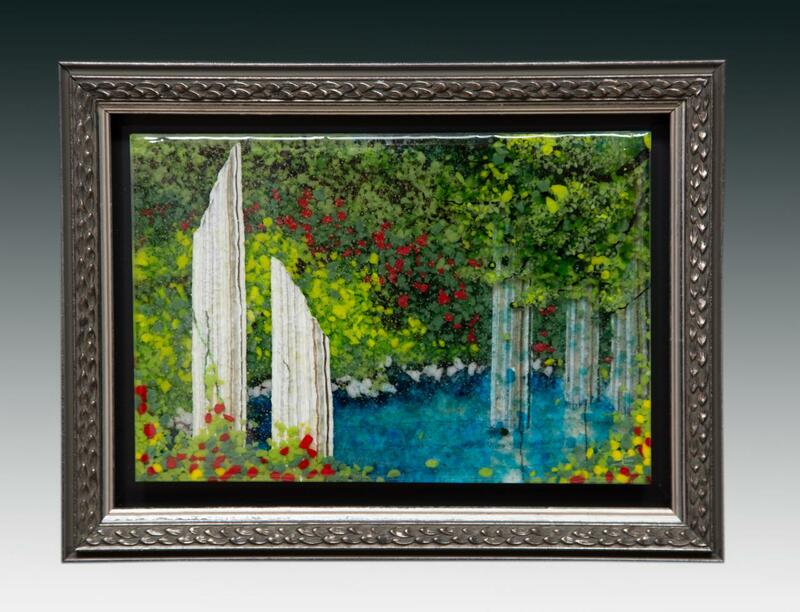 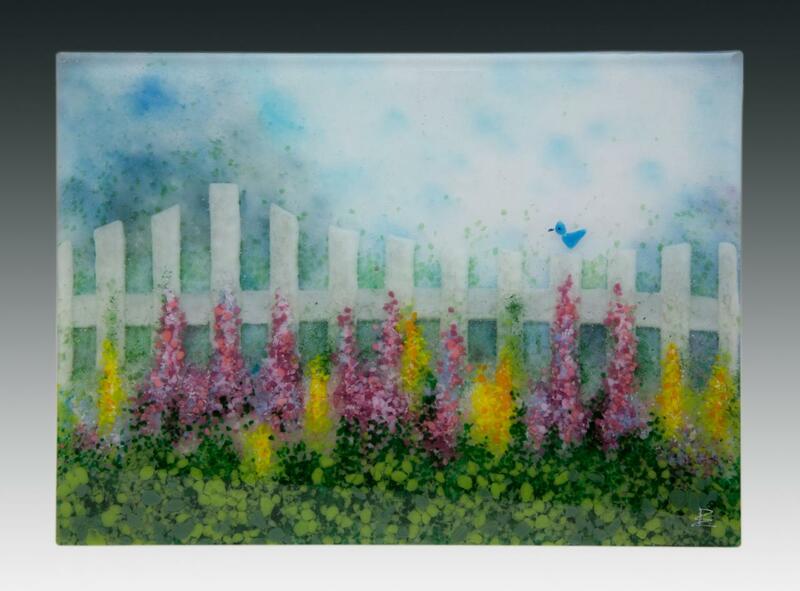 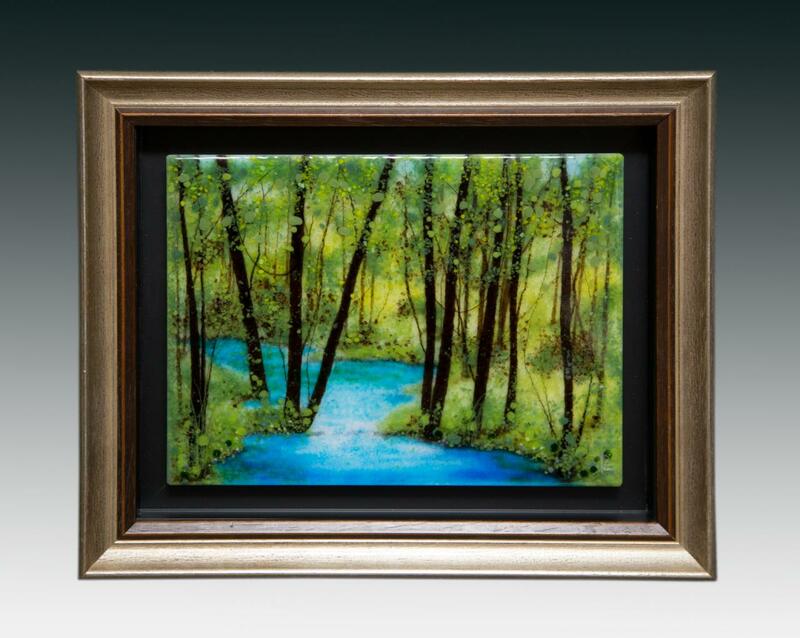 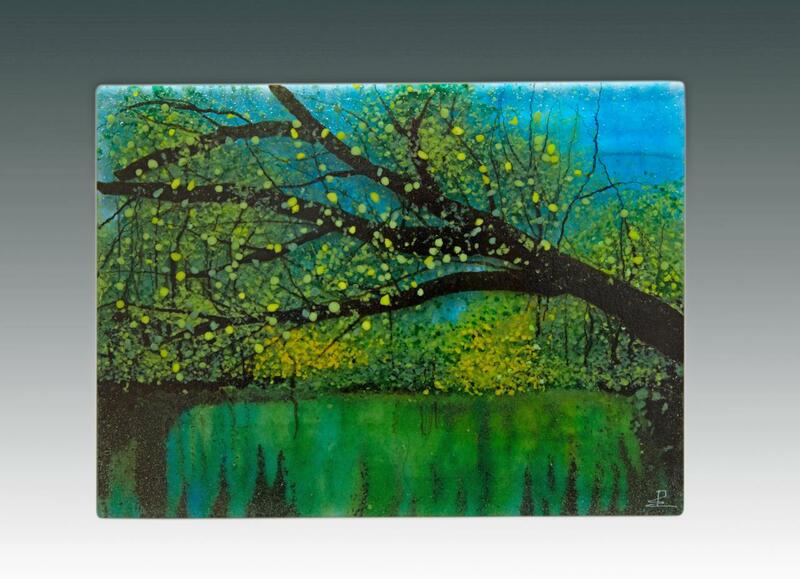 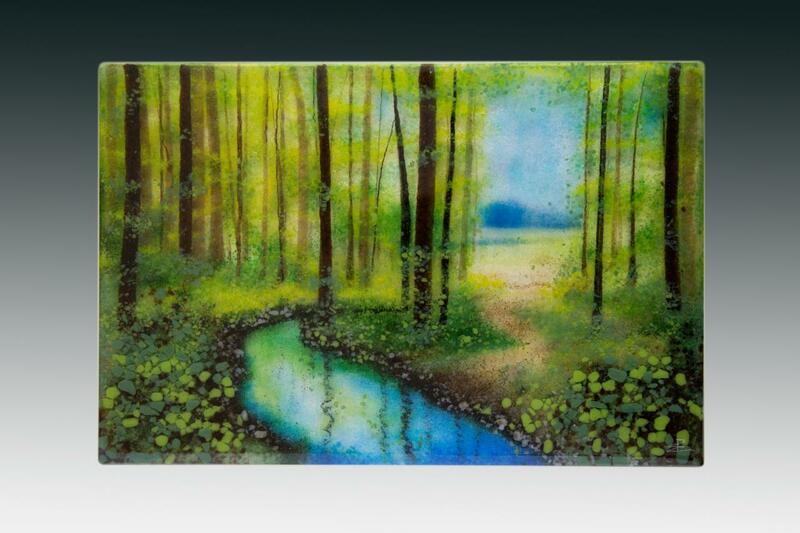 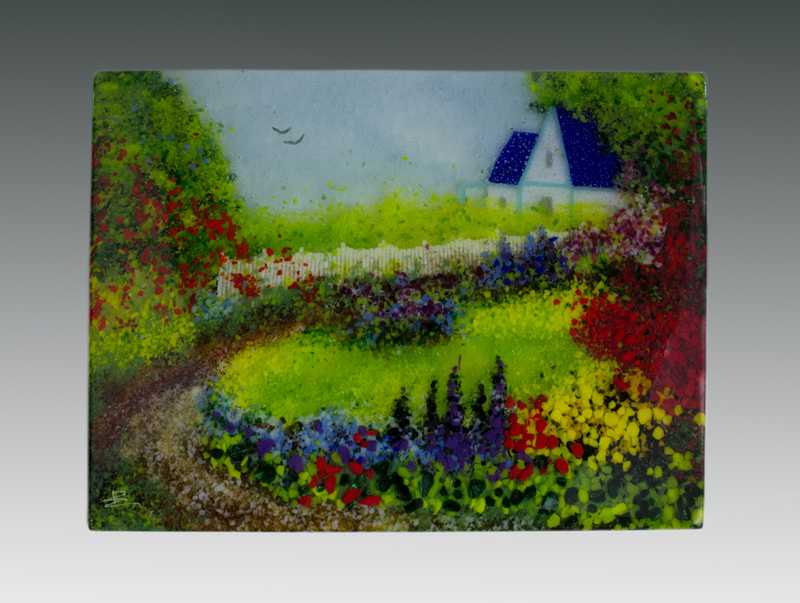 These beautiful, fused glass landscapes are called "frit paintings" -- but there is no paint involved! 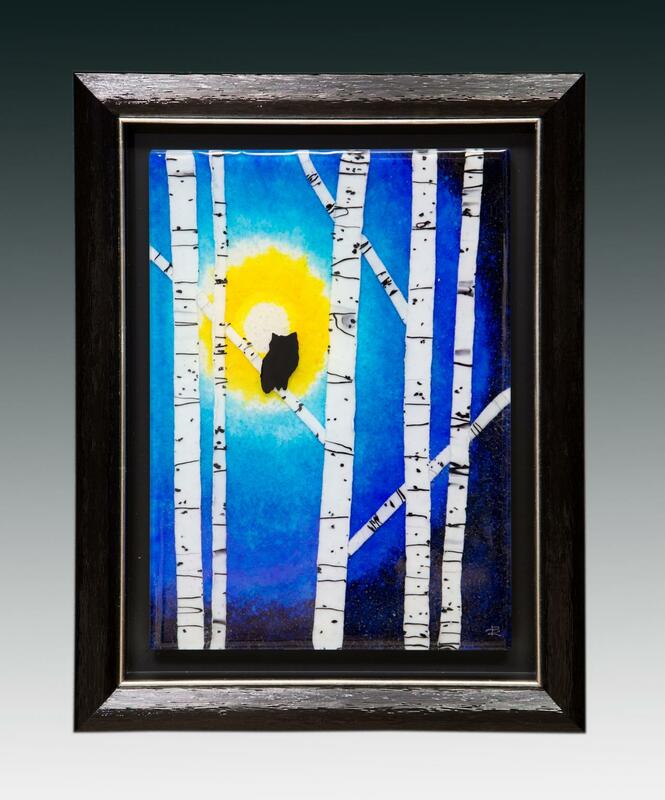 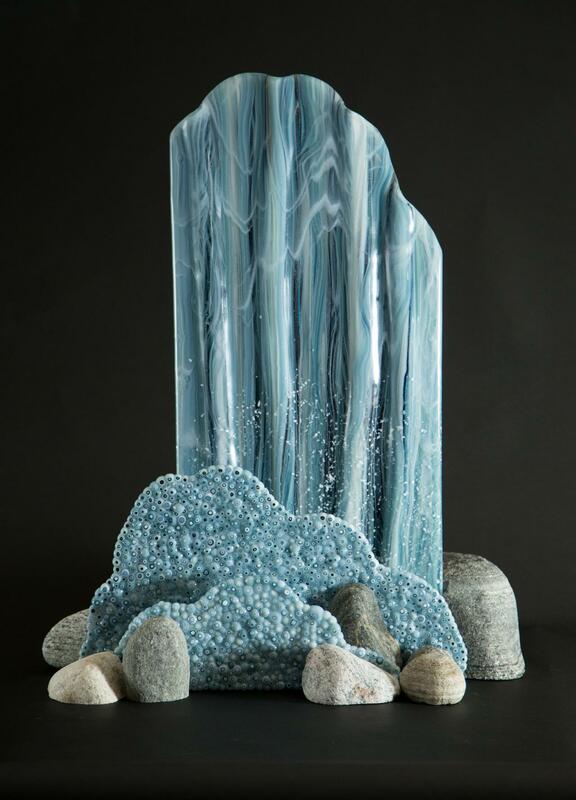 Each Pezzulich Glasswork image is created entirely of glass -- pieces of crushed glass in varying sizes, tiny glass threads and strips of glass are arranged by hand to create each scene, then fired in a kiln to form a solid panel. 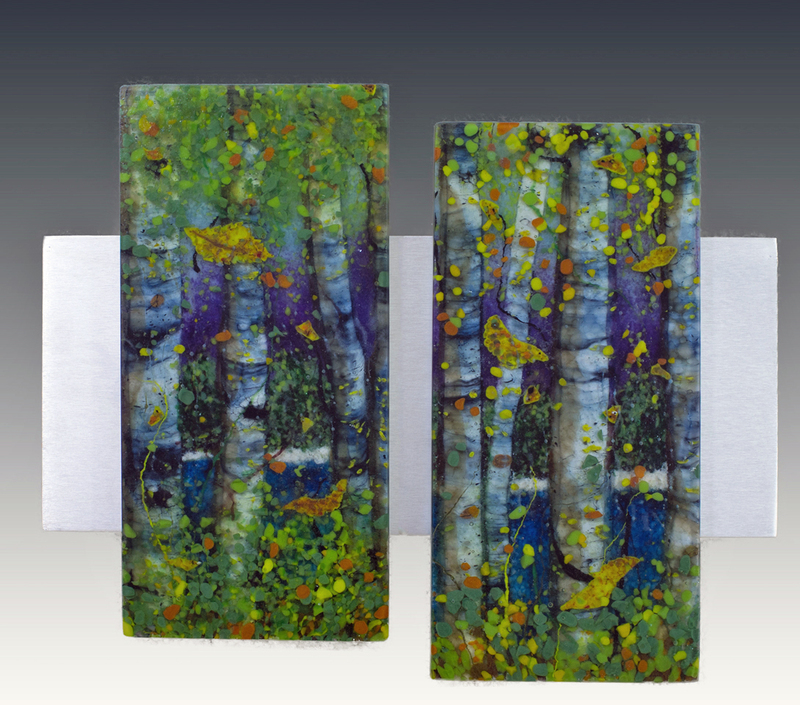 Each piece is made of multiple layers, to add depth and detail, and is typically fired 7 or more times during the process. 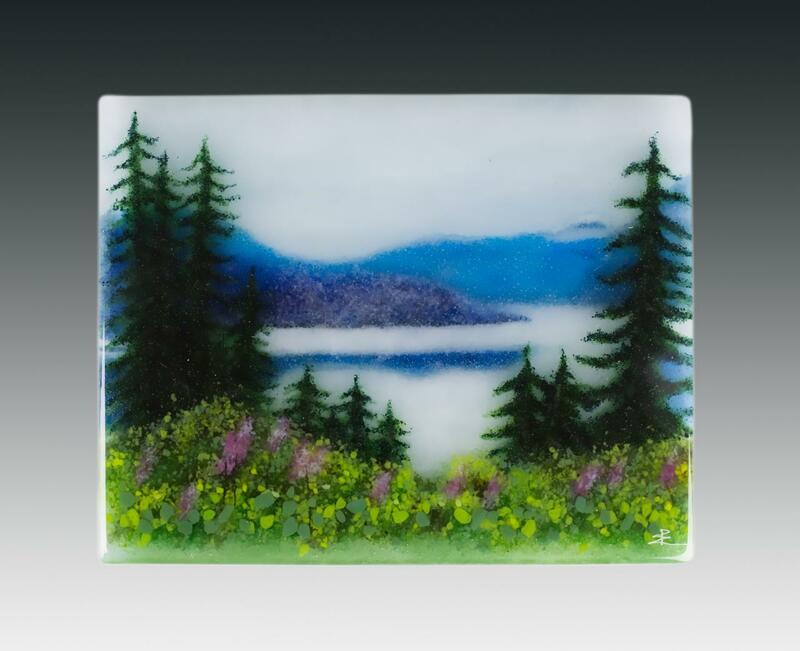 Sandblasting, hand polishing, and/ or creation of a handmade frame or base finish each unique and original work of Pezzulich Glassworks fused glass art. 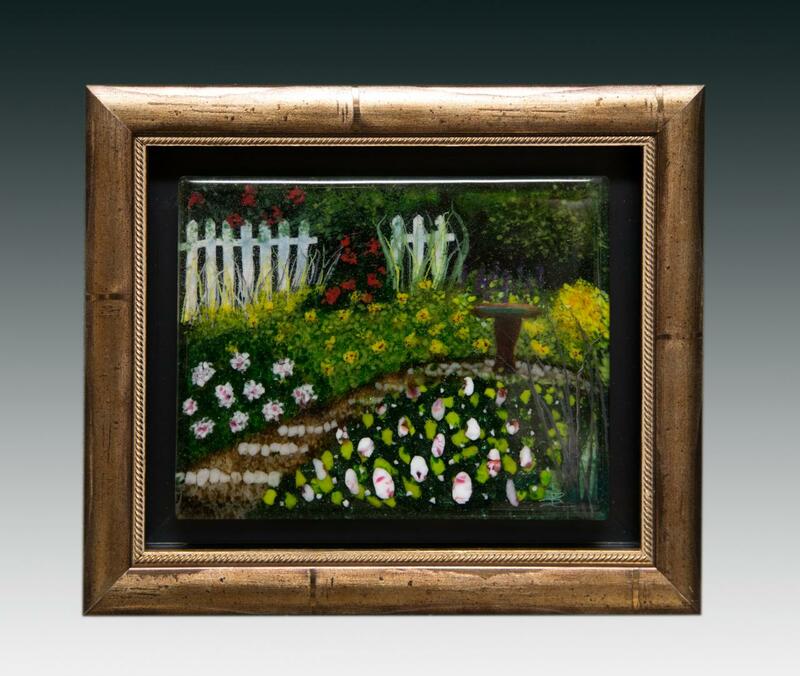 This page includes works that are available, as well as recently sold items.